Produced in a serious hurry, this trackmo was rattled out over the two weeks before the party and contains a mixture of "spare" graphics, conversions and effects. 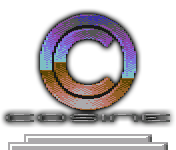 The excellent music just happened to be ready because Odie had been experimenting with the latest version of his Electronic Music System and had produced a cover one of Skywave's previously unused tunes from an unfinished game called Extreme Force. Trivia: the name, for any non-coding readers, is a machine code instruction; it should be INC $D020 (increment the border colour by one) but dollar signs aren't allowed in filenames so we're pretending that D020 is an assembler label!